The county clerk is a manager, an administrator, of four types of county records, physical and electronic: Elections, County Board Records, Vital Records and certain Tax information. 1) Be familiar with these types of government records. 2) Understand the physical and electronic storage methods for securing this data. 3) Have experience in government. 4) Be an excellent customer service manager. I've managed data and information processing systems for print and electronically for over twenty years. Creating, supporting and sharing data is what I do everyday. I'm also responsible for training people on data management systems, answering questions and providing customer service. 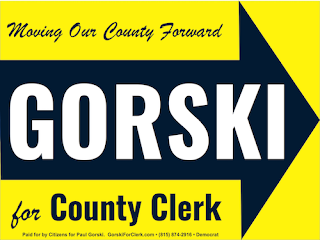 In addition, I've served our community as a county board member, township trustee and as a Rock Valley College Trustee. If elected as your next County Clerk, I'd bring my business sector data management and customer service skills to the local government. No other candidate has the same depth of experience. 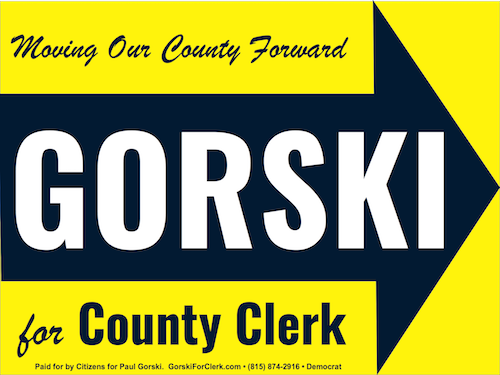 I'm prepared to by your next County Clerk and I'm asking for your vote. Thank you!